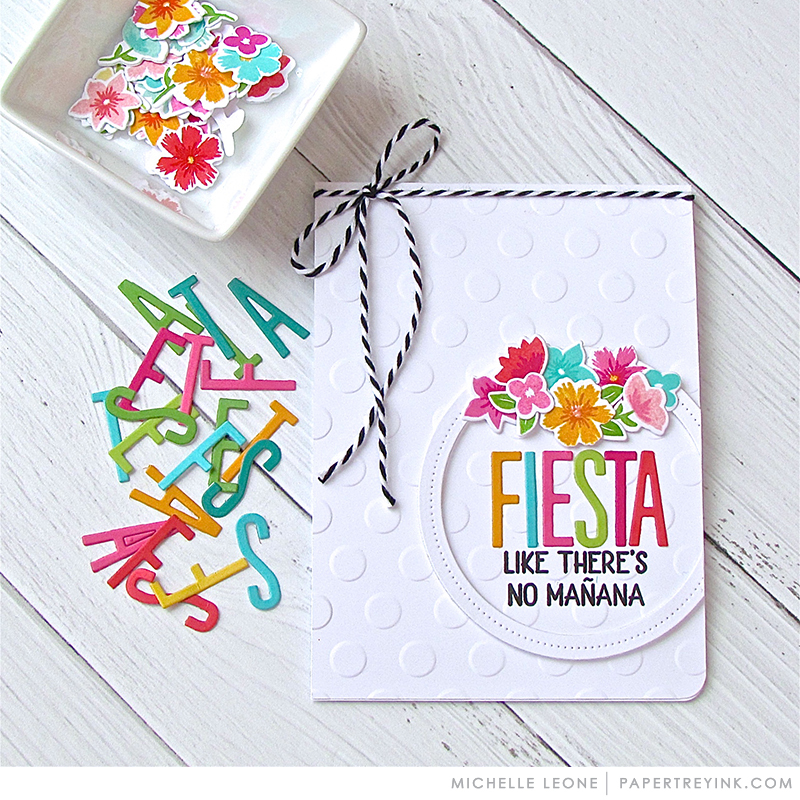 Join Michelle Leone as she shares ways to use alphabet letters on cards. Create a project utilizing your take on the challenge. Your project must use at least one Papertrey product and include alphabet die cut letters like Michelle shared in the video. You will have until 6am ET, Monday, January 28, to add your link to the list to be eligible to win. One randomly selected winner will be chosen from ALL the entries on Monday, January 28, after 6am. The winner will be posted here on this blog post, on Twitter and Facebook. The randomly selected winner will get a $25 PTI gift certificate to spend however they like! Congratulations, Lori B! Please send an email to customer service and provide them with your full name and the email address you would like your gift certificate sent to. Thanks so much to everyone for playing along! Gorgeous card! Love those Spring colors, too. Bring on Spring!! Love this, Michelle! 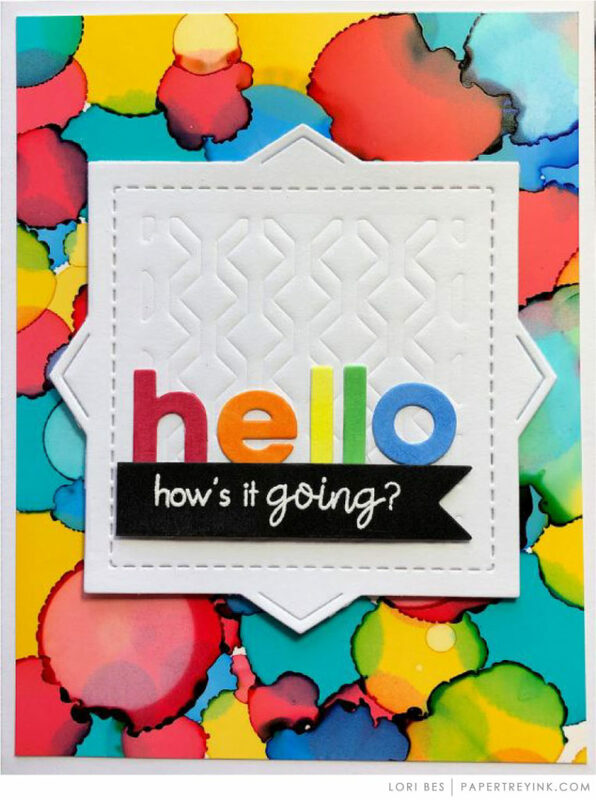 The “party” colors make this card so bright and cheerful! Can’t wait to use this set as I have a few birthdays coming up and this is what I planning to stamp with. Oh Michelle, these are so sweet! I love the bright, springy colors and the polka dotted backgrounds. Super, super cute!! Love this bright, happy card – especially today in the Northeast where it’s gray, windy and as I write, 3 degrees! I always smile when I see your cards as they are totally my style…clean and beautiful color combos! Thank you Michele! Great tutorial and I can’t wait to play along! 2 fun, happy cards–love the designs! Thank you for the inspiration to start my week! Such a beautiful, vibrant card, Michelle to start our week! Love the embossed background, raised circle and festive crown of flowers. Your “love” card is also very cute! So bright and happy. The floral crown finishes it off perfectly. Great cards, Michelle! The fiesta card is so bright and cheerful and the love card is perfect for Valentine’s Day or any day. I know you have to watch the time when you do these videos but I wish you had taken a few more minutes to show us how you decided which of the flowers you had stamped to use to make the crown of flowers. That would have been very helpful. Otherwise, great job! Thanks for sharing! So pretty, love all the great colors and pretty flowers, great design! This card makes me want to Fiesta!! Can’t wait to get this stamp and die set. What a great way to cut all those letters .